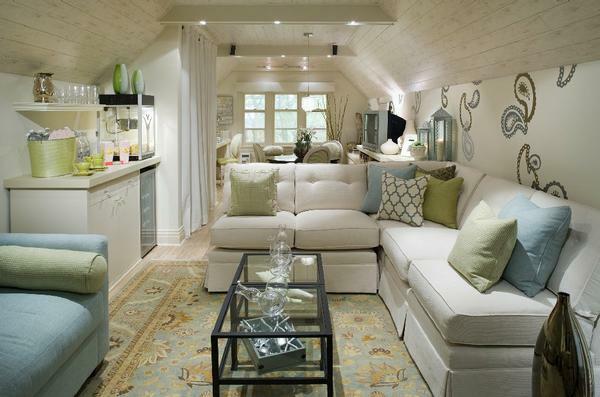 A beautiful Attic living room designed by Canadian interior designer Candice Olson. 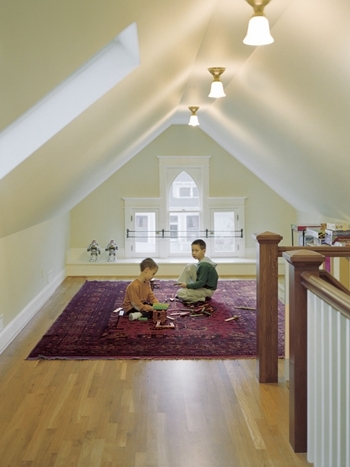 When was the last time you climbed into your attic and had a look around? There’s so many people have a lovely attic space and use it to store junk. Those are the same people who complain about wanting to move into a bigger house. Does this sound like you? Everyone eventually feels like their living space is too small. It’s just something that happens once you’ve been living somewhere for a certain amount of time. It’s got to do with our feelings of wanting something better. Sometimes those feelings stop us from seeing what’s right under our nose. Imagine how great it would be if you could magically create a new room out of thin air. Well I wouldn’t call your attic thin air, but that’s what it will feel like because you’ve only kept a lot of crap there. You could get some nice collapsible steps installed and when you walk up them you are confronted with a completely new room. One you can do whatever you want with. 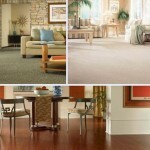 Once you’ve had some flooring laid you can start bringing it to reality. Maybe you don’t know what you’d do with all that space, so let’s have a look at some cool ideas. 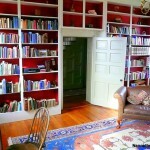 If you love to read books you could turn the attic into your very own library. It’s the perfect place to put up some bookshelves and store your entire collection. That’s not the best part. It’s not the fact you’re actually keeping your books in there, but you can get yourself a nice comfy seat and sit there while you’re reading. 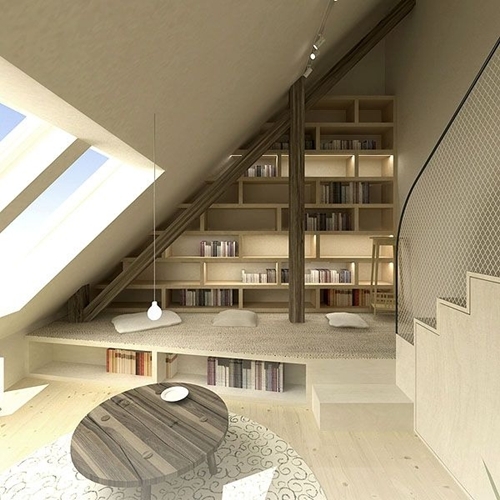 Get some nice lighting so the whole attic has a relaxing feel to it. Whenever you feel like reading you can just lock yourself away for the entire night. 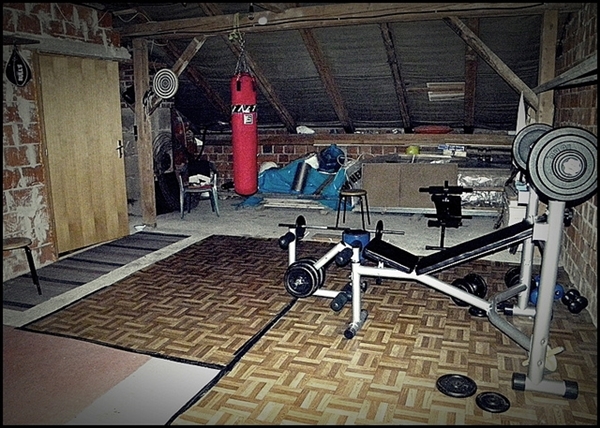 If you’re into fitness it is the perfect place to exercise. You might not want to keep big machines there, but if you just want to do some body weight exercises it’s better than going out to the gym when you don’t need to. You could probably hang a boxing bag and get fit that way. Surely nothing is more relaxing than punching something repeatedly after a hard day at work. 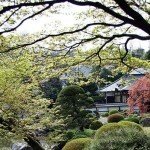 If you’re into more gentle forms of exercise you could do your yoga there. 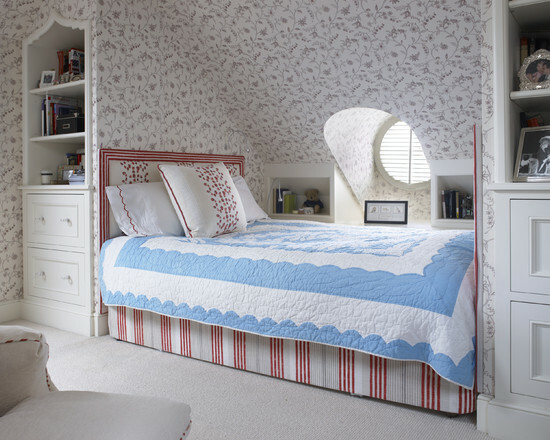 An attic bedroom has a charm of it’s own. 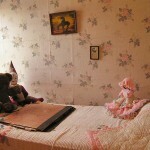 If you have any young kids at home they usually love to sleep in the attic. The novelty wears off as you get a little older, but being the king of the castle has a certain appeal. It could also be that you need an extra bedroom. Maybe you have more than one kid and they now need their own room. Or you could use it as a guest room. It’s better than having someone sleep at a hotel when you could easily put them up. Perhaps you could build a room specifically for the kids to play with their computer games. It means they don’t make too much of a mess in their own bedrooms and they are easier to clean up. 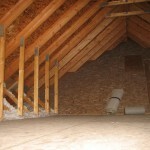 If there’s a little mess in the attic it’s usually not such a big deal. It’s also a nice place for them to hang out when they get older, because they don’t have to hang around the streets and get involved with stuff like drinking. Something you might not have thought about is turning it into a mini-spa. You could go up there to relax. It’s the perfect place to hang a hammock from the beams and everyone knows how relaxing hammock’s are. Fill the room full of your favorite smells. A smell you wouldn’t want going around the home, but would be nice when you went into the attic. You could throw in a suntan bed. Anything is possible if you use your imagination. Barbara Woodberry is one of the leading and most loved blogger in the blogosphere today. She works with Magazine Subscriptions as an editor. Her blogs are famous for their impeccable reviews on the latest novels and magazines.